Gift a Lifetime of Adventure. Osprey Gift Cards make a fantastic present idea for the indecisive explorer in your life. Do you want to surprise that special someone with an Osprey pack but you don't know their backlength or are unsure of their favourite colour? We've got the perfect solution: Osprey Gift Cards. 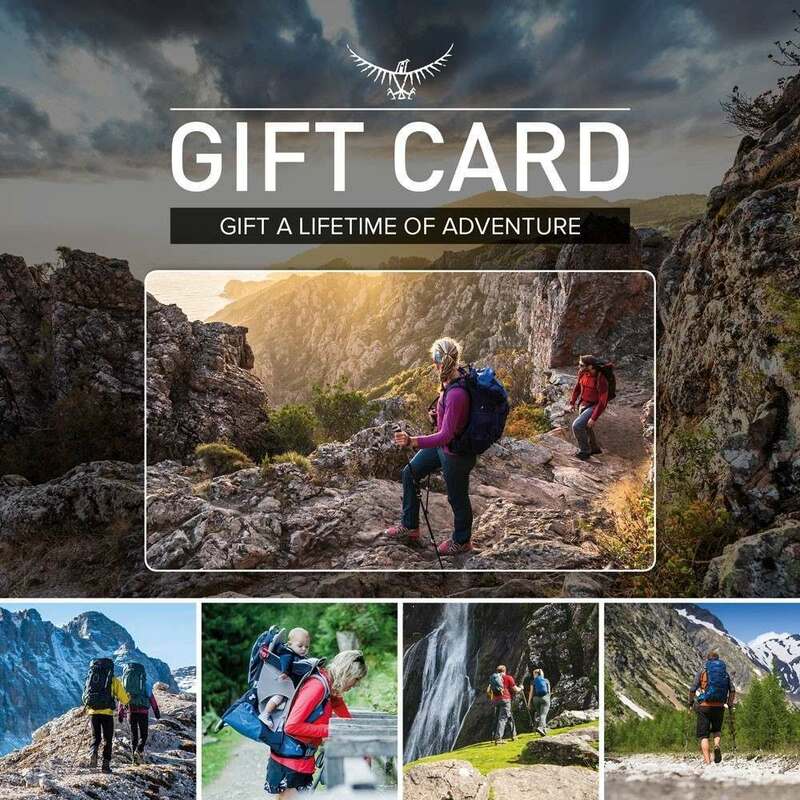 Easy to use and exclusive to www.ospreyeurope.com, the recipient can redeem their unique Osprey Gift Card code at Checkout against any Osprey pack or accessories!